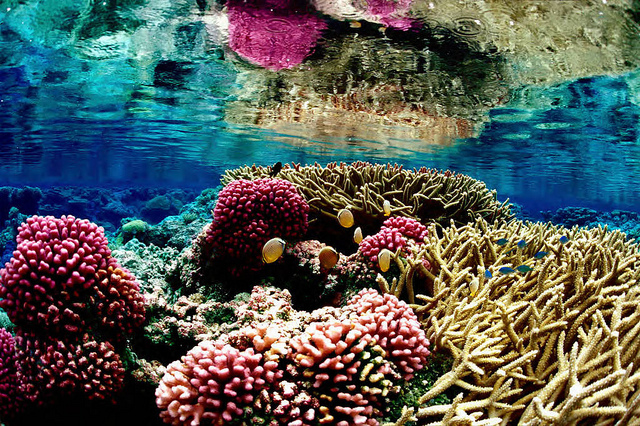 Corals and sponges have inspired compounds used to treat cancer, malaria, and viruses. Photo by USFWS/Jim Maragos, used under Creative Commons licensing. Today's pick, Blue Urbanism, comes from our Development Assistant, Meg MacIver. Having grown up in the Midwest, I’ve always held the ocean up on a pedestal. It was such an elusive, mystical concept for such a wide (and oh-so-deep) expanse of water to exist (Lake Michigan is cool and all, but it’s freshwater and…well, it’s just no ocean). Throughout my land-locked childhood in the suburbs of Chicago, my family took sporadic to trips to both the Pacific and Atlantic Oceans. I loved looking out over the water imagining all the fish and critters going about their daily lives. Swimming in the waves, I could feel the sheer power of the ocean. 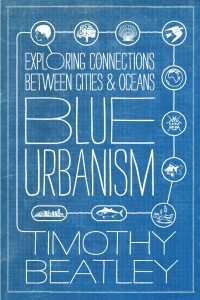 After reading Blue Urbanism by Tim Beatley, my appreciation has only grown, as I now understand the power of the oceans in a new way. In fact, I am now realizing I shouldn’t have felt so disconnected from the sea all those years that I was miles away in Chicago. Cities are more connected to the marine world than I realized. With such a high concentration of people in one place, urban areas are basically a hub of consumption. So, it makes sense that cities rely on the bountiful resources of the oceans—from food to oil to the corals and sponges that are used to develop pharmaceuticals. In order to extract and supply these resources, we need people. This means that a lot of jobs rely on the sea—from fishermen to merchants on shore to beach resort employees. Not only is there intrinsic value in the splendor of the oceans, but there is also economic value. I encourage anyone and everyone who has ever enjoyed a day at the beach to check out this book, for the mighty oceans are more relevant to your daily life (and more vulnerable) than you may realize. Blue Urbanism and all our other hardcover and paperback books are on sale for 50-70% off through September 30.